1. Recognize that you are the only one who can get a grip on your mind. There is no pill to take. There is no one to consult. There is nothing to read. You must mind your mind. You can let your thoughts do whatever they want and go off in any direction, or you can say, “No, that thought doesn’t serve me.” Only you can do that work. 2. Recognize that you do not have to accept, tolerate, or countenance a thought just because you thought it. You may have the thought, “Wow, John really made me angry at work today!” Then it is your choice whether to brood about John or whether to get on with your novel. It may be easier to brood about John than to write your novel, so you may have powerful reasons to stay angry. It’s your choice. When we say something to ourselves like “My novel stinks” or “I won’t play well tonight,” we believe that thought just because we thought it. But many of our thoughts are simply not true, and even if they are true, they may not serve us. 3. Listen to what you say to yourself. If you can’t hear your own thoughts, you can’t get rid of the ones that aren’t serving you. If you can’t admit to yourself that you are constantly thinking that life is a cheat, that you’ve badly disappointed yourself by wasting so much time, or that you hate to be criticized, you won’t be able to dispute and extinguish those thoughts. Yes, it can be extremely painful to admit to them, but it is better to grapple with them than to let them cycle endlessly. 5. When you decide that a thought doesn’t serve you, dispute it and dismiss it. It can seem very strange at first to dispute your own thoughts. Yet dispute them you must. Get in the habit of saying to yourself, “That was an interesting thought. Does it serve me?” If you know or suspect that it doesn’t, dismiss it out of hand. Do not linger over it! This sounds like “That thought doesn’t serve me and I am dismissing it!” Mean it when you say it! 6. When a thought that doesn’t serve you lingers, actively combat it. Some thoughts just won’t go away. Maybe it’s “No one wanted my first novel, and my second novel is an even more difficult sell, so why in heaven’s name am I writing it?” You may not be able to get rid of this thought simply by snapping your fingers. Then do more than snap your fingers — fight the thought tooth and nail. Maybe you’ll have to write out the ten reasons why this book may be wanted. Maybe you’ll have to chat seriously with yourself about self-publishing. You must battle brooding, clinging, disabling thoughts — or else you will be thinking them regularly. 7. After you’ve disputed and dismissed a thought, think a thought that does serve you. Creating thought substitutes is an important part of the process. These substitutes can be tailored to the situation, or they can be simple global affirmations that you create once and use over and over again, such as “I’m perfectly fine,” “Back to work,” “Right here, right now,” or “Process.” Because for so many of us the default way of thinking is negative, self-critical, and injurious, we want to create and use thought substitutes that help prevent our brain from conjuring up its usual distortions and distractions. 8. Get in the smart habit of extinguishing unproductive self-talk even before it arises. Often we know when a thought is coming. Maybe you’ve been waiting to hear from an editor who said she would call on Tuesday, and now it’s Friday. You know that if she doesn’t call today, you are certain to begin thinking thoughts like “She’s never going to call,” “She’s about to reject my work,” and “I can’t stand all this waiting.” You know these thoughts are coming. So extinguish them now and replace them with “I’m spending the weekend working on my new pet project! And I won’t think about that editor until Monday!” How many times have you known that a thought that doesn’t serve you is coming and let yourself think it anyway? It’s time to stop doing that. 9. Engage in active cognitive support. This means creating the thoughts that you want to be thinking and then thinking them. These thoughts might include all of the following: “I paint every single morning”; “I’m going to succeed”; “I know how to make meaning”; “I’m lavishing my love and attention on my current painting”; “I’m not afraid of process”; “I show up”; “I take the risks that I need to take, with my work and in the marketplace”; “I am creating a body of work”; “I am a painter.” You can think thoughts like these if you choose to think them. You may never have thought about the possibility of getting a grip on your mind. I hope that you’ll seriously consider it now. 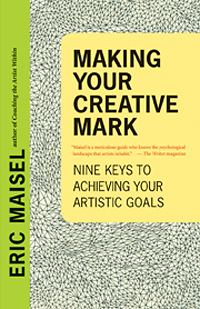 Eric Maisel is the author of “Making Your Creative Mark” and twenty other creativity titles including “Mastering Creative Anxiety”, “Brainstorm”, “Creativity for Life”, and “Coaching the Artist Within”. 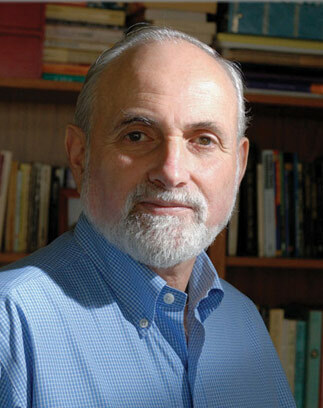 America’s foremost creativity coach, he is widely known as a creativity expert who coaches individuals and trains creativity coaches through workshops and keynotes nationally and internationally. He has blogs on the Huffington Post and Psychology Today and writes a column for Professional Artist Magazine. Visit him online at http://www.ericmaisel.com.